People often take me for being either French or Italian, which I am, but they often don’t realize that I’m actually half Swedish as well. So Swedish that my maternal grandmother (Mormor to me) was born in Sweden and didn’t come to America until she was almost 8. Having Scandinavian blood means that (if you’re lucky) you’ll spend Christmas Eve opening presents and enjoying a serious smorgasbord of goodies — from homemade headcheese and potato sausage to spritz butter cookies and rice pudding. If you’re not so lucky, there will also be lutefisk and pickled herring present. I’m (kind of, sort of) kidding on the last one. Half of my family seems to love the pickled pieces of fish while the other half — myself included — glad pass over it for another slice of ham instead. The lutefisk seems to have an even smaller following — I think the taste for that ended with my grandparents. I certainly have never seen my mother try a piece. But just like most edible family traditions, the older you get, the more curious you become at the process of making them. 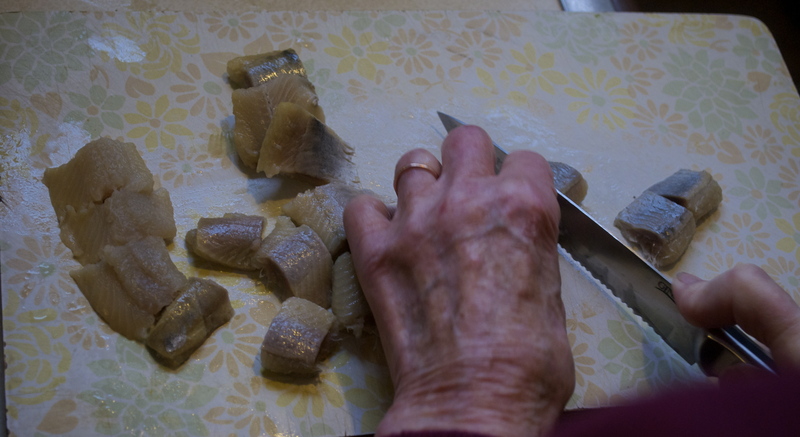 This is the first year that I was able to spend the weekend before Christmas with my grandparents, and I asked if my grandma would wait until I arrived to make the herring. Regardless of whether I enjoy eating it, I did enjoy watching her prepare it. The first thing to do is secure your herring. My grandma used to buy whole fish and would have to gut them and clean them herself. These days, around late November she makes calls to fishmongers looking for Icelandic herring fillets. This year she found a small fish shop that promised to have some for her the week before Christmas. When I arrived, the fish had been soaking in cold water overnight — unrefrigerated, though in a cool place. 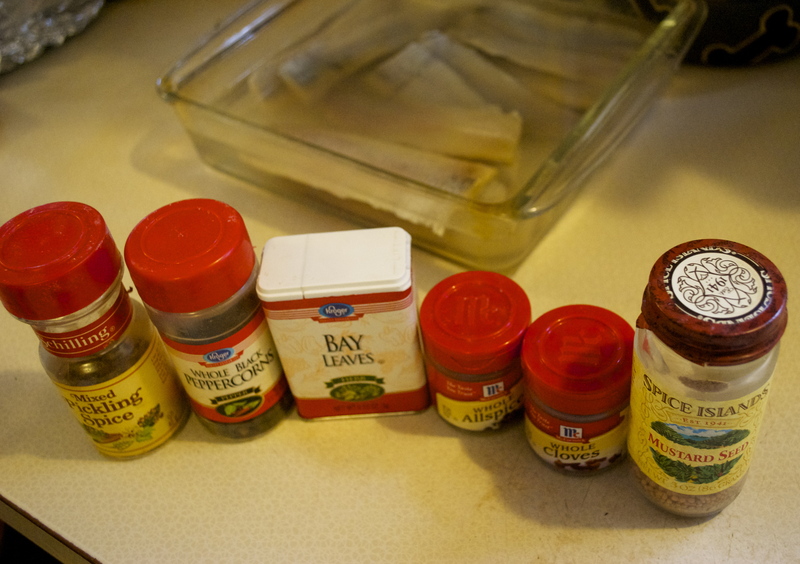 We got a large jar and began by mixing white wine vinegar with sugar and spices. Then we took the fillets and cut them into pieces about 2-inches wide. Once they were all cut, we added them to the jar and shook it vigorously for a few minutes to get everything well-dispersed. The jar went into the fridge where it will sit in the brine for at least 24-hours, thought it’s best (according to my grandma) after two full days. If you’re feeling brave, or if you simply enjoy pickled fish, consider giving this a try sometime. 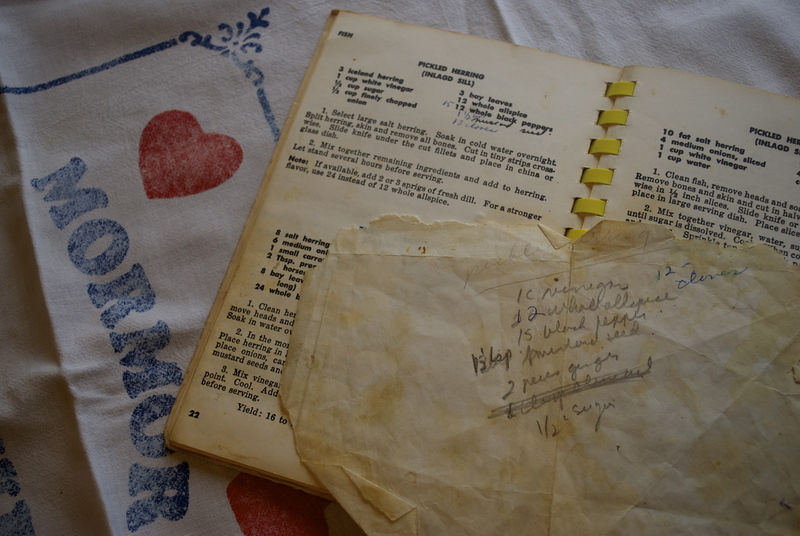 I won’t make you decipher my grandma’s handwriting — which is notoriously difficult to read — since she apparently just uses the cookbook for the basic recipe. 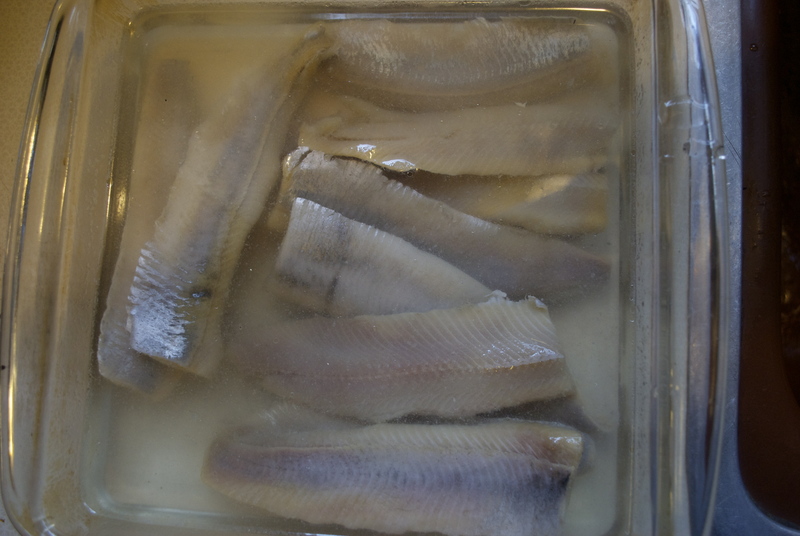 10-12 Icelandic Herring Fillets — soaked overnight in cold water before being cut into 2-inch pieces. 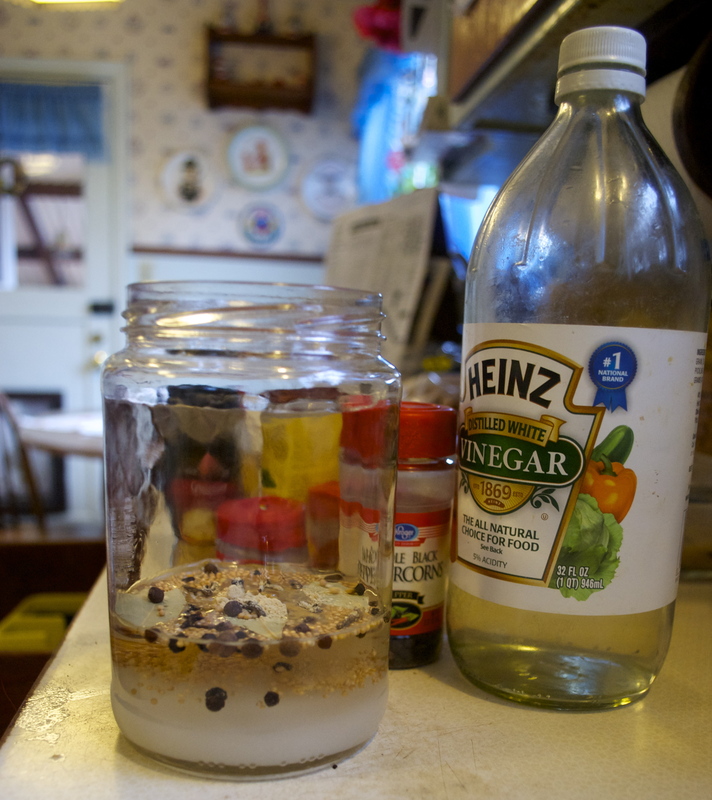 Mix all the ingredients together in large glass jar with a well-fitting lid. Add your herring, shake well and brine for 2 days. Enjoy! 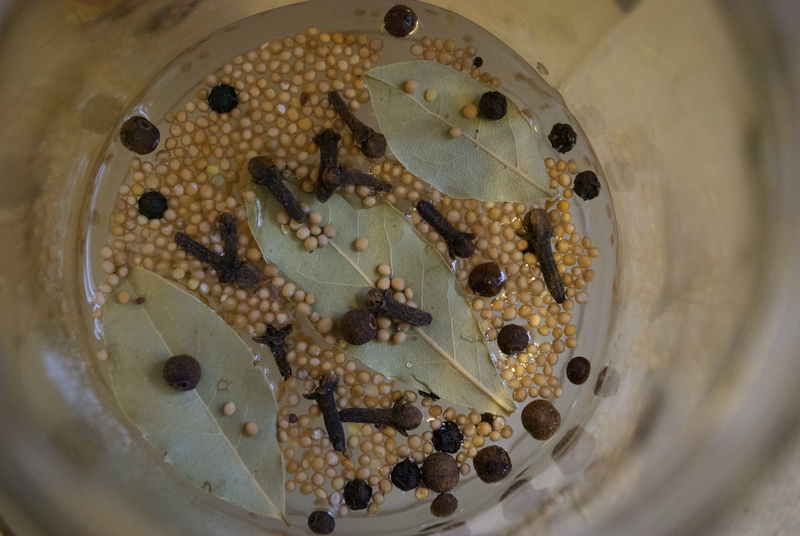 This entry was posted in Christmas, Crafts & Holidays, Edibles, Friends & Family, Game Meats, Holiday Food, Holiday Ideas, My Life and tagged christmas, family, food, holidays, life, mormor, projects, recipes, swedish, traditions by Jessamine in PDX. Bookmark the permalink. Thank you for this post which brings back such happy memories of the Swedish grandma who lived across from us on Long Island. 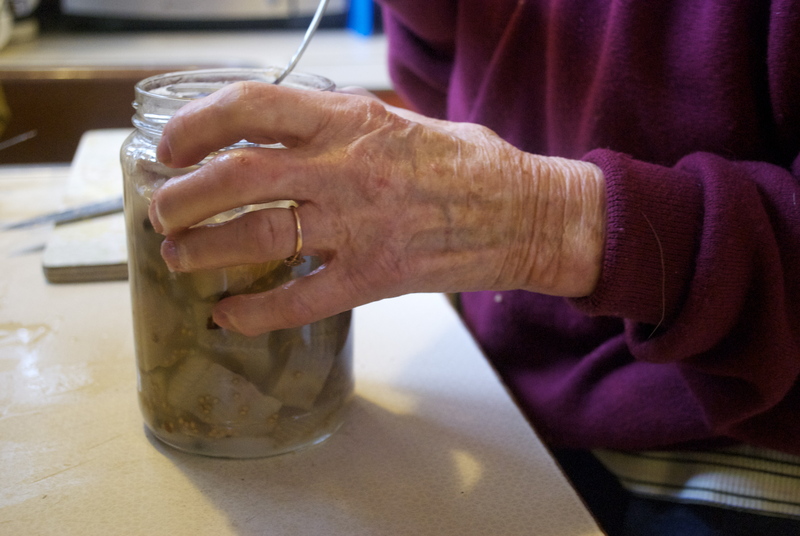 Grandma Tillie (Olsen) made delicious pickled herring at Christmastime. It looked just like yours. Have strange taste buds for a kid, I liked it. Especially the onions. But I like the creamed herring even better. Merry Christmas! Thank you for your wonderful blog! Oh my god — even a kid you liked pickled herring? I’m very impressed! One year my cousin and I got drunk and dared each other to try the pickled herring and the lutefisk. The herring was MUCH better in comparison, but still nothing I’d like to eat again. =) Hope you all had a great and merry Christmas! Hope to see you soon! I dont know what lutefisk is. Would I like it? I have to admit that I preferred the onions tat she added more than the herring itself. Texture! And I agree with another poster: I really like seeing your grandma’s hands. Merry Christmas to her too! 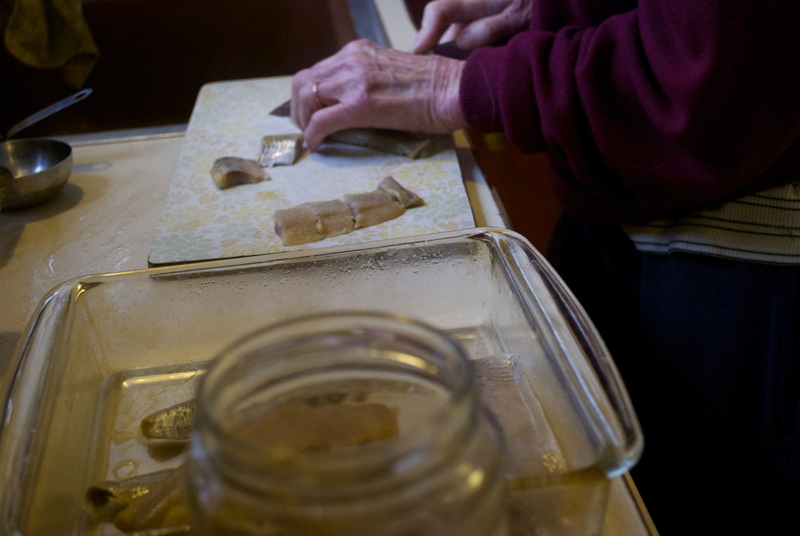 Loved seeing the pic of your Grandma’s hands prepping the fish. Thanks! She didn’t have her hair fixed and told me she’d hit me if I took any pictures of her face. =) I figured the hands were ok though and I liked the way they turned out. 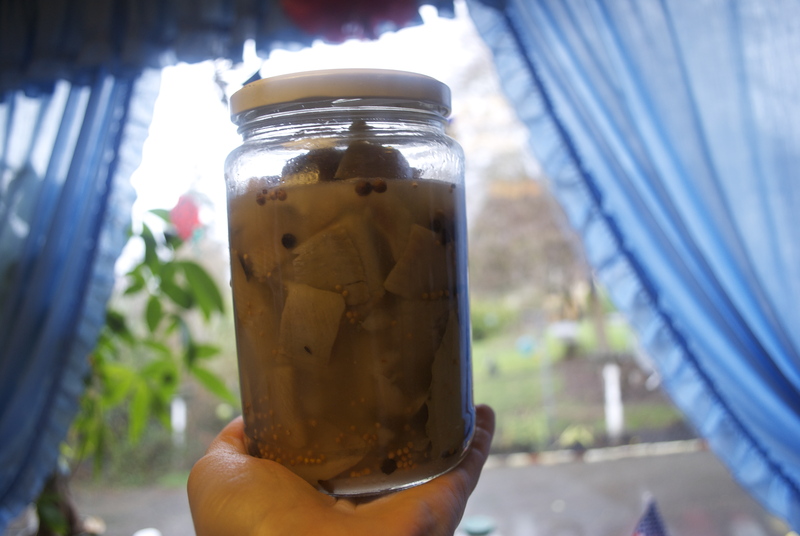 Are you a fan of pickled fish? If you are, try it out! Her recipe gets lots of compliments. And at the very least, it’s easy to make! I have never tried it. But I heard about it from coworker, I’ll have to try it one of these days even though I’m slightly nervous about the taste/smell. Haha. Haha, thanks! It made my morning to see so many wordpress notifications! =) I had a lovely Christmas and certainly succeeded at eating too much. Hope you did the same! Certainly did! Now to decide on NY plans….woot!